Here it is! A new set of Japanese Learning Resources from June. 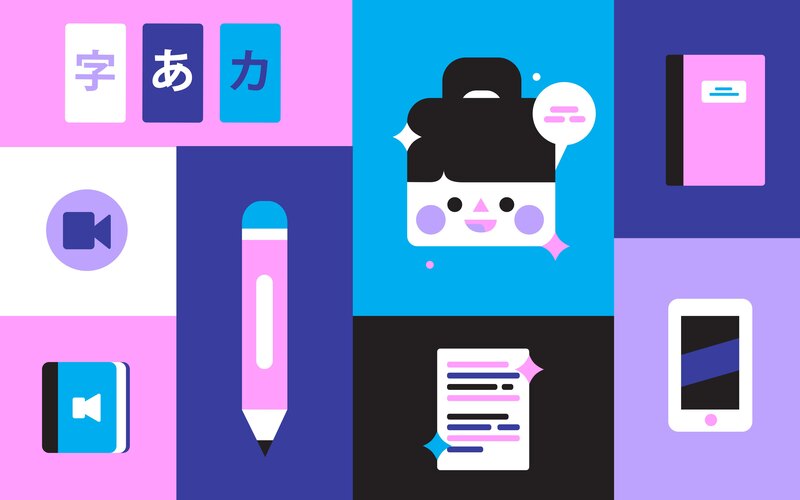 This month we've got six brand new Japanese learning tools for you to sharpen your skills. One of them just might be a game changer for your Japanese studies. Japanese reading is one of the hardest skills to develop, but also one of the most important. Thankfully, Japanese.io is here to give you a great advantage. You can think of it like training wheels for any and every Japanese text you read online. At its core, Japanese.io is a document reader that adds a host of interactive features to Japanese words. You can copy and paste any Japanese text into the reader, and Japanese.io adds furigana to the kanji (which you can toggle on and off). It also makes every word clickable, so you can get definitions for words you don't know well. You can copy and paste any Japanese text into the reader, and Japanese.io adds furigana to the kanji. Here is where Japanese.io gets really cool. At the bottom of the document, there's a button that says "Show Looked-up Words." Click it and you'll get statistics with the number and percentage of look-ups, what words were looked up, and how many times. All these stats are collected in the "Statistics" section, which you can access in the sidebar. There you can see all the words you looked up in the past month. Data like this can give you an accurate picture of what you do and don't know so you can make more informed study decisions. 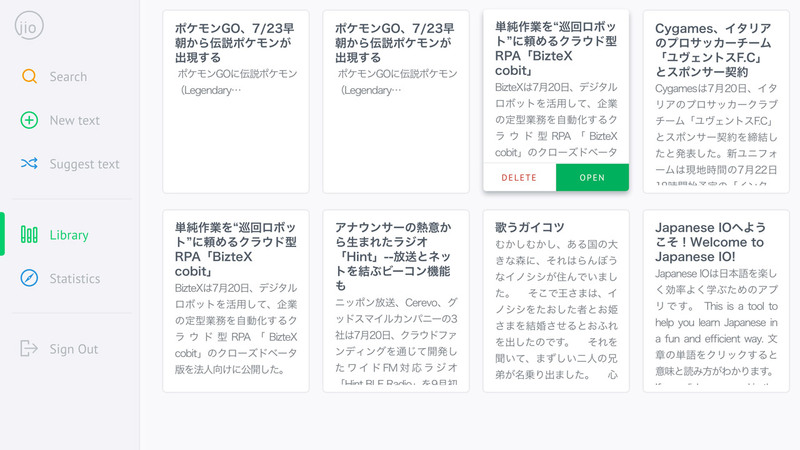 When you paste Japanese text into Japanese.io, you have the option of adding it to your "Library," for later reading. Over time, you'll amass loads of reading material at your level with statistics tracking your performance across all of it. And if you don't know where to find Japanese text, don't worry. There's a "Suggest Text" option in the sidebar that grabs paragraphs from popular Japanese websites. The best part is, it's free and signing up is easy. All you need is a Google or Facebook account to gain access. Remember how we just said reading is one of the most important Japanese language skills? Well, reading relies on kanji, and kanji skill is pretty difficult to acquire. We've got a few ideas on how to learn kanji effectively, and one of them is to make connections between new information you acquire. That's why we're particularly excited about this site, The Kanji Map by Gabor Kovacs. Its sole purpose is to help you see connections between kanji. The Kanji Map is exactly what it sounds like: a graph that highlights a particular kanji then maps it to nodes showcasing the individual radicals that make it up. Click on the radical and you get all the kanji that use that radical mapped out in another graph. Click on another kanji to see more radicals, leading to more kanji, and on and on. 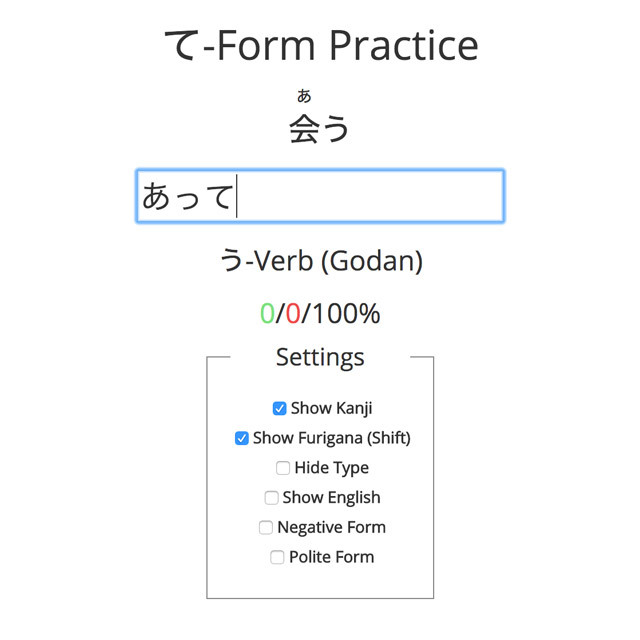 To the right of the kanji map, you get a sidebar loaded with information: animated stroke order, stroke count, meaning, reading, radical information, and a list of related words. 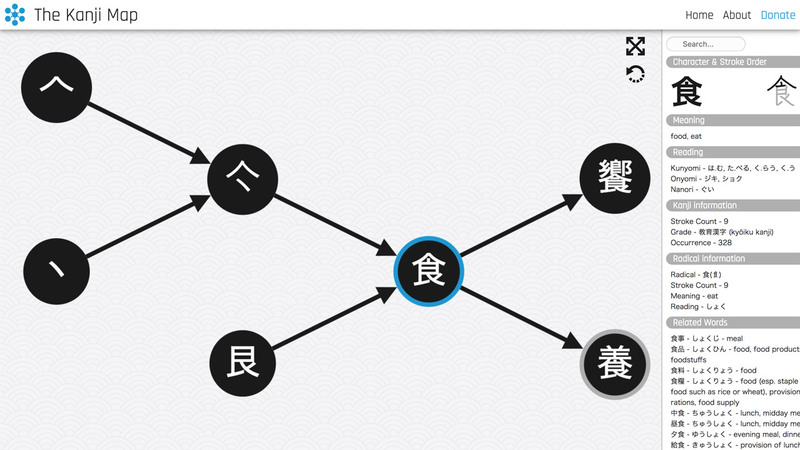 Click on the radical and you get all the kanji that use that radical mapped out in another graph. Click on another kanji to see more radicals, leading to more kanji, and on and on. You could find kanji by perusing the map (and you're meant to), but you can also use the search box to find a specific kanji you interested in. But you have to type the exact kanji you're looking for. No hiragana, romaji, or English. If you're not sure how to install a Japanese keyboard and type in Japanese, check out our guide. The Kanji Map is an information dump, but it's an information dump that helps you explore kanji, make connections, and process information. There's a lot of potential here if you can think of interesting ways to use the program. If you're into retro games (who isn't at this point?) a nice translation of Japanese author Hanenashi Error's 「レトロゲーム超翻訳セレクト」(Retro Game Super Translation Selection) just came out. It's a slim book, but it covers over 100 "interesting" translation decisions from Japanese to English game localizations. At first glance, you might be wondering how this book works since it was originally written in Japanese for a Japanese audience. But the English version is just as illuminating as the original Japanese text; it provides games' literal Japanese translations and the translations picked by the (usually) official English translators of the game. 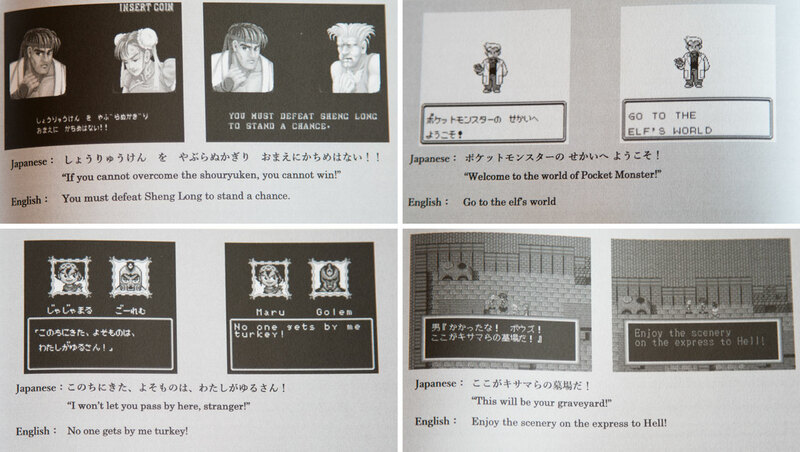 The book explains why certain localization changes may have been made, how typos were fixed, and explains why silence in a Japanese game usually leads to more dialogue in the English version. It also has explanations for onomatopoeia, spacing issues, and even English → English fixes, which can be very helpful to Japanese learners like yourself (as well as people who just enjoy playing Japanese games). The real trick here is, if you haven't guessed already, grabbing a copy of the Japanese book and this new English version and reading them side-by-side. The new English version is worth a read by itself, but if you're interested in some bilingual action definitely take advantage of them both. 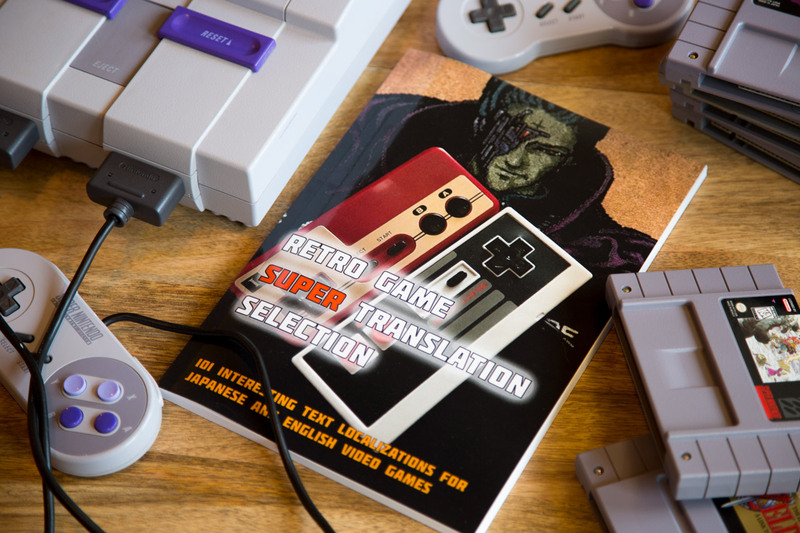 If you haven't checked out his site about game translation/localization and the books that resulted from his hard work (which we've mentioned in this series before), you really should! Those were the main resources for June, but there are a few other Japanese apps and tools we wanted to mention too. We don't want to give them our full recommendation just yet, either because they're too new or they're still being updated. They could be great, or they could be… not so great. Either way, these resources are interesting and we think you'll at least get some use out of them. Let's explore them together. Everybody loves learning language with movies. And it works especially well with movies you know by heart. That's what makes the new language learning site, SubLearning, so effective. SubLearning isn't just for Japanese language learning. There are hundreds of movie subtitles to choose from in 62 languages. Just pick your target language (Japanese), your native language (maybe English, if you're reading this), and the movie you want to study with. Let's say you choose Star Wars: Episode IV – A New Hope. It starts by showing you the first two lines of the movie. There are two buttons underneath the Japanese lines, "Show Answer" and "Skip." Try and read the two lines as best you can. If you've seen Star Wars 600 times, it might not be too difficult. When you're ready, click "Show Answer." They shut down the main reactor. It's the first two lines C-3PO speaks at the beginning of the movie. After revealing the translation, the "Next" button appears and you're served the third and fourth lines. After that you get the fifth and sixth, and so on until you get to the end of the film. It should be noted that these subtitles aren't translations from one language to another. They're simply the subtitles for a given movie in Japanese, English, Italian, Dutch, French, or whatever two languages you choose. The two subtitle translations simply show up side-by-side. That means, the revealed English subtitle may be very different from the Japanese subtitle you are trying to translate. This is especially true if the movie you choose is, say, Who Am I, which is German. This is a cool way to experience your favorite movies, especially if listening to a Japanese film audio track is too fast for you. And there are lots of movies to choose from (most all the Ghibli and MCU films are represented), so you're bound to find at least one that you know by heart. Editor's Note: Since the publication of this article, the SubLearning website has shut down. Love it or hate it, you have to learn verb conjugations and the only way to conjugate fluently is through practice. You could grab a list of verbs and just write out the various conjugations on a piece of paper. Or you could try Verb Conjugation Practice, a section of the website called Steven Kraft's Japanese Projects. It's pretty straightforward. Choose the conjugation you want to practice (past form, negative form, etc) and you're presented with a Japanese verb and a text box. Type the appropriate conjugation and press enter. If you get it right, the box turns green. If you get it wrong, the box turns red and you're shown the correct answer. And there are a few options too. You can toggle on/off kanji, furigana, verb type, and English translation. It's a simple quiz system that helps you quickly and easily practice conjugation. There are no lessons, so you'll have to learn the conjugation rules somewhere else. But once you start practicing with these quizzes you'll find your brain understanding the rules faster and faster. For some conjugations, you may even be able to decipher the rules through trial and error. Our only complaint is that it's a bit buggy sometimes. Nothing fatal, just things like "show kanji" doesn't always show kanji and you have to reload the page. Also, as WaniKani users, we're used to the correct answer staying on screen until we hit hit enter. With these quizzes, your correct answer flashes green for one second and disappears. Not really a bug, just a personal preference. Overall this is a great little project by Stevie K (as we like to call him now), and we're anxious to see what the "More Coming Soon" text at the bottom of the main page will mean for the future of the site. I know, I know, we already told you about parts one and two. But part three wasn't even originally going to happen until the previous season of Terrace House was so good that they made even more of it! To recap: Netflix teamed up with Fuji TV to bring back a sweet Japanese reality show about young men and women who are put in a house together. We watch as they (hopefully) find love. These people are probably around your age and some of them are native Japanese speakers and some aren't, so you can compare your accent and vocab knowledge to theirs. If you don't have access to Japanese TV you only need a Netflix subscription to hear actual Japanese! Plus it's a good show, which you probably know by now since we've been talking about it so much.